This review critically reviews the article ‘Translation Medicine: A two-way road "in the Journal of Transnational Medicine of Biomed central. The review will first summarise the article. Secondly, it will briefly analyse the effectiveness of the article’s structure, investigating how the information is set out and whether the reader can access it efficiently. Thirdly, the review will critique the article, evaluating its authority, currency, accuracy, objectivity and coverage. The review will finally judge the article’s accessibility and credibility. Overall the article was well written, clear and relevant. This review critically reviews the article ‘Translational Medicine: A two-way road “in the Journal of Translational Medicine of Biomed central. The review will first summarise the article. Secondly, it will briefly analyse the effectiveness of the article’s structure, investigating how the information is set out and whether the reader can access it efficiently. Thirdly, the review will critique the article, evaluating its authority, currency, accuracy, objectivity and coverage. The review will finally judge the article’s accessibility and credibility. Overall the article was well written, clear and relevant. [1.] Cameron, D., Norman, Tim, Huerta, (2006). September Knowledge transfer & exchange through social networks: building foundations for a community of practice within tobacco control 25. Doi: 10.1186/1748-5908-1-20 PMCID: PMC1599751. [2.] Christian, Brander, Soldano, Ferrone, Francesco, M., Marincola, J. (2006). Rewarding patient-directed research: Excellence in Translational Medicine Award. Doi: 10.1186/1479-5876-4-19 PMCID: PMC1468429. [3.] Ena, Wang, András, Falus, J. (2004). Changing paradigm through a genome-based approach to clinical and basic immunology 17. Doi: 10.1186/1479-5876-2-2 PMCID: PMC331423. [4.] Francesco, M., Marincola, (2003). Translational Medicine: A two-way road. Doi: 10.1186/1479-5876-1-1. [5.] Global informetric perspective studies on translational medical research [BMC Medical Informatics and De...]. [6.] Heidi, Hörig, William, Pullman, J. (2004). From bench to clinic and back: Perspective on the 1st IQPC Translational Research conference Heidi Hörig, William Pullman J Transl Med. 2004; 2: 44. Published online 2004 December 20. Doi: 10.1186/1479-5876-2-44 PMCID: PMC544857. [7.] John, P., A., Ioannidis, J., (2004). Materializing research promises: opportunities, priorities and conflicts in translational medicine Doi: 10.1186/1479-5876-2-5 PMCID: PMC343300. [8.] Kai-Christian, Sonntag, J., (2005). Implementations of translational medicine. Doi: 10.1186/1479-5876-3-33 PMCID: PMC1236966. [9.] Maurizio, Chiriva-Internati, Fabio, Grizzi, Robert, K., Bright, W., Martin, Kast, J., (2004). Cancer immunotherapy: avoiding the road to perdition. Doi: 10.1186/1479-5876-2-26 PMCID: PMC509287. [10.] M., U., R., Naidu(2011). Promise of translational medicine: An evidence-based therapeutics Indian. J Pharmacol, 43(2), 103–104. [11.] P., A., Ioannidis (2006). Evolution and Translation of Research Findings: From Bench to Where?. PLoS Clin Trials Jo1(7): e36. 10.1371/journal.pctr.0010036. [12.] Stacey, P., Mankoff, Christian, Brander, Soldano, Ferrone, Francesco, M., Marincola, J., (2004). Lost in Translation: Obstacles to Translational Medicine. Transl Med, 2, 14 Doi: 10.1186/1479-5876-2-14 PMCID: PMC420261. [13.] Translational medicine Nature Reviews Drug Discovery ISSN: 1474-1776 EISSN: 1474-1784. [14.] To Be or Not To Be Translational [Translational Medicine @ UniSa]. [15.] W., Martin, Kast, Hyam, Levitsky, Francesco, M., Marincola, J.(2004) . Synopsis of the 6thWalker's Cay Colloquium on Cancer Vaccines and Immunotherapy, Transl Med, 2: 20. Doi: 10.1186/1479-5876-2-20 PMCID: PMC441417. Fast dissolving tablets disintegrate and dissolve rapidly in the saliva without the need for water. This tablet format is designed to allow administration of an oral solid dose form in the absence of water or fluid intake. 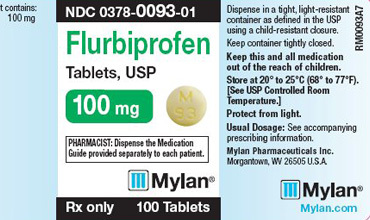 Flurbiprofen is an anti-inflammatory and analgesic drug used in the treatment of chronic rheumatoid diseases which is a painful condition and therefore requires drugs that has rapid onset of action. Hence the intent of the authors to formulate fast dissolving tablets of Flurbiprofen using different superdisintegrants to improve the dissolution rate and bioavailability of the drug. Flurbiprofen fast dissolving tablets were prepared using various superdisintegrants and the resultant formulations were characterized for different physical parameters. The results of the statistical analysis carried out by the authors on the various data obtained showed that the use of superdisintegrants to formulate fast dissolving tablets of Flurbiprofen was a good way to enhance bioavailability, dissolution rate and absorption rate of the drug. [1.] Grri, M., Rangoni, C., Maestraelli, F., Corti, G., Mura, P. (2005). Development of fast developing tablets of flurbiprofen-cyclodextrin complexes. Drug dev Ind Pharm, Aug, 31(7), 697-707. [2.] http://www.drugs.com/flurbiprofen. Accessed July 7, 2013. [3.] Kuchekar, B., S., Badhan, A., C., Mahajan, A., S. (2003). Mouth dissolving tablets; A novel drug delivery systems. Pharma. Times, 35,7-9. [4.] Shid, S., L., Hiremath, S., P., Borkar, S., N., Sawant, V., A., Shende, V., S., Tote, M., V., Birari, R., B., and Changrani, S., R. Effect of superdisintegrants in rapidly disintegrating flurbiprofen sodium orodispersible tablets via direct compression and camphor sublimation. [6.] Wenat, A., K., Patel, S., M., Patel, S., R., Patel, N., M. (2012). Fast dissolving tablets: A novel approach to drug delivery. Asian journal of pharmaceutical sciences and research, 2(8). The process of drug discovery is lengthy and tortuous, spanning several years. These years are characterized by different stages of differing development processes. A major stage in this development process is the preclinical stage, which is characterized by testing the drug candidate in animal models as a predictor of its efficacy and tolerability in humans. Preclinical drug trial is froth with challenges, which range from choice of the appropriate animal species to generation of the relevant data for filling application for IND. A successful pre-clinical trial is still not a guarantee of the drug product scaling through the clinical stage. These have been attributed to heterogeneity differences in the animal and human species. Effort in genomic research to circumvent this challenge is presently on-going. [1.] Curry, A.., Brown, R. (2003). The target product profile as a planning tool in drug discovery research. Pharmatech, 67 – 71. [2.] Foster, F.S., Mehi, J., Lukacs, M., Hirson, D., White, C., Chargares, C, et al. (2009) A new 15 – 50mHz array-based micro-ultrasound scanner for preclinical imaging. Ultrasound Medical Biology, 5(10): 1700-8. [3.] Fox, S., Farr-Jones, S., Sopchak , L., Bogg, A., Nicely A.W., Houry, R.(2006) . High throughput screening; update on practices and successes. J Biol Sreen, 11,864-869. [4.] Hughes, P.P., Rees, S., Kalindjian, S.B. & Philpott, K.L. (2011), Principles of early drug discovery. Br. J Pharmacology, 162(6) , 1239-1249. [5.] Janghui, X., Jaun, L., Simon ,R., Ze ,T., Yinghui, L., Shanguang, C. (2010) Preclinical Drug Prioritization via Prognosis. Guided Genetic interaction Networks. PLoS One; 5(11): e13937. Doi:10.1371/journal.pone.0013937. [7.] Kareen L,S & Edward, G.S. (2009) .BMC Neurology Volume 9, Supplement 1, 2009: Proceeding of the 2009 Drug Discovery for Neurodegeneration conference. http://www.biomedcentral.com/147- 2377/9:?issue=S1 Accessed June 20.2012. [8.] Kareen, L.S, & Edward, G. S. (2009). The basics of pre-clinical drug development for neurodegenerative disease indications. BMC Neurology; 9 (suppl I): 52 http://www.biomedcentre.com/1471 - 2377/9/51/52 (Website). [9.] Network CGAR. (2008).Comprehensive genomic characterization, defines human glioblastoma genes and core pathways. Nature; 455:1061-1068. Doi.10.1038/nature 11903.CrossRef. PubMed/NCBI. Google Scholar. Accessed June 15,2012. [10.] Pacific biolabs (2012). 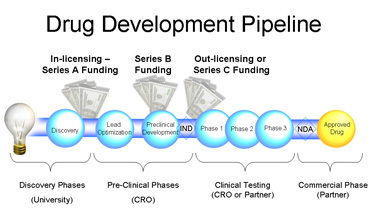 Drug Development process; stages of drug development; http://www.pacificbiolabs.com/drug-stages-asp (website). 94;547 –San franscisco Bay Area. Retrieved June 15,2012.. [11.] Pharmaceutical product development Inc. (2012), About Drug discovery & Development. PPD Homepage; http://www.ppdi.com/about-ppd/drug-development.htm Retrieved June 20th 2012. [12.] Radloff, D.R., Renella, E.S., & Treadgill, D.W., (2008). Modelling cancer patient populations in mice: Complex genetic and environmental factors. Drug Discov Today Dis Models 2008; 4:83-88 doi:10.1016/j.ddmod.2007.06.004. CrossRef. PubMed/NCBI. Google Scholar. [13.] Steven ,M. P., Mytelka, D.S, Widdie, D. U., Persinger, C.C., Munos, B.H., Lindborg S.R, et al.(2010). How to Improve R&D Productivity; The Pharmaceutical Industry grand Challenge: Nature Review; Drug Discovery., 9(3) 203 – 214. [14.] Wikipedia; free Encyclopedia. (2012).Drug discovery. http://.en.wikipedia.org/wikidrug_discovery: Retrieved June 15, 2012. [15.] Wikipedia; free encyclopedia. (2012), Preclinical drug development. http://www.wikipedia.org/wiki/pre-clinical-development (website) Retrieved 30 May, 2012. [17.] William, J.K., Van Bruggen, N., Dinkelbors, L.M., Gambher, S.S. (2008). Molecular imaging in drug development, Nat. Rev. Drug Discovery July 7; 591 – 607. Translational research is scientific research that helps to make findings from basic science useful for practical applications that enhance human health and well-being. It is practiced in the medical, behavioral, and social sciences. For example, in medicine it is used to "translate" findings in basic research quickly into medical practice and meaningful health outcomes. Applying knowledge from basic science is a major stumbling block in science, partially due to the compartmentalization within science.1Translational research is heralded by some as a savior of the biomedical research enterprise by hastening the translation of biomedical discoveries to improved patient care.2 Although pediatric translational research is a small part of the overall translational research enterprise, it is important for improving child health and provides new opportunities for researchers from all pediatric disciplines. This article provides an overview of pediatric translational research. It summarizes its evolution, barriers and challenges. The last section provides recommendations for enhancing pediatric translational research. KEYWORDS:- Pediatric research, hemophilus influenza. [1.] Acton, J. D., Kotagal, U. (2005). Improvements in healthcare: how can wechange the outcome? J Pediatr,147, 279–281. [2.] Akinbami, L. J., Schoendorf , K.C (2002). Trends in childhood asthma: prevalence, health care utilization, and mortality. Pediatrics, 110, 315–322. [3.] Asher, M. I., Montefort, S., Bjorksten, B. (2006). Worldwide time trends in the prevalence of symptoms of asthma, allergic rhino conjunctivitis and eczema in childhood: ISAAC Phases One and Three repeat multicountrycross-sectional surveys. Lancet, 368, 733–743. [4.] Bethell, C., Reuland, C.H., Halfon, N., Schor, E.L. (2004). Measuring the quality of preventive and developmental services for young children: national estimates and patterns of clinicians’ performance. Pediatrics, 113, 1973–1983. [5.] Broder, K.R., Cohn, A.C., Schwartz, B., et al (2008). Adolescent immunizations and other clinical preventive services: a needle and a hook? Pediatrics, 121, S25–S34. [6.] Cercenado, E., Cuevas, O., Fenoll, A., et al(2007). Effect of the introduction of the pneumococcal conjugate vaccine on invasive disease produced by Streptococcus pneumoniae. Int J Antimicrob Agents, 29, S294. [7.] Christakis, D.A., Feudtner, C., Pihoker, C., Connell, F.A. (2001). Continuity and quality of care for children with diabetes who are covered by Medicaid. Ambul Pediatr, 1, 99–103. [8.] Direct and indirect effects of routine vaccination of children with7-valent pneumococcal conjugate vaccine on incidence of invasive pneumococcal disease—United States, 1998–2003. MMWR Morb Mortal Wkly Rep,54, 893–897. [9.] Ebbeling, C. B., Pawlak, D. B., Ludwig, D. S. (2002). Childhood obesity: public health crisis, common sense cure. Lancet, 360, 473–482. [10.] Estimates of funding for various diseases, conditions, research areas. 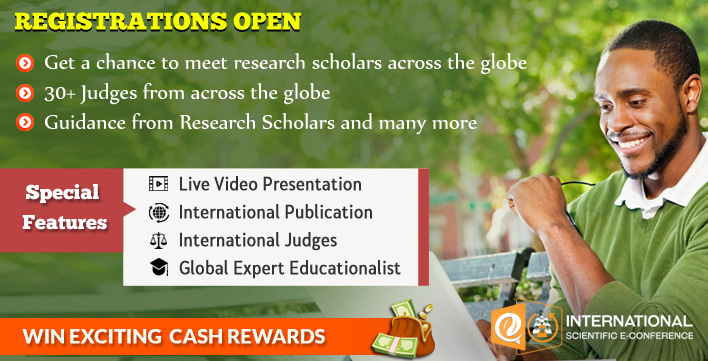 National Institutes of Health[online] . Retrieved from //www.nih.gov/news/fundingresearchareas.htm. [11.] Etheredge, L., M. (2007). A rapid-learning health system. Health Aff (Millwood), 26, w107–w118. [12.] Evans, W.E., Relling, M.V (2004). Moving towards individualized medicine with pharmacogenomics. Nature, 429, 464–468. [14.] Genel, M., McCaffree, M. A., Hendricks, K., et al (2008). A National Agenda for America’s Children and Adolescents in 2008: recommendations from the 15th Annual Public Policy Plenary Symposium, Annual Meeting of the Pediatric Academic Societies, May 3, 2008. [15.] Grijalva, C.G., Poehling, K.A., Nuorti, J.P., et al (2006). National impact of universal childhood immunization with pneumococcal conjugate vaccine on outpatient medical care visits in the United States. Pediatrics, 118, 865–873. [16.] Halterman, J. S., Aligne, C.A., Auinger, P., et al (2000). Inadequate therapy for asthma among children in the United States. Pediatrics, 105, 272–276. [17.] Horn, I.B., Beal, A.C. (2004). Child health disparities: framing a research agenda. Ambul Pediatr, 4, 269–275. [18.] Homer, C.J., Szilagyi, P., Rodewald, L., et al (1996). Does quality of care affect rates of hospitalization for childhood asthma? Pediatrics, 98, 18–23. [19.] Institute of Medicine TNA. Crossing the Quality Chasm: A New Health System for the 21st Century. National Academy Press; 2001. [20.] Jencks, S., F., Cuerdon, T., Burwen, D. R., et al (2000). Quality of medical care delivered to Medicare beneficiaries: a profile at state and national levels. JAMA, 284, 1670–1676. [21.] Juniper, E. F., Guyatt, G, H., Feeny, D.H., et al (1996). Measuring quality of life in the parents of children with asthma. Quality Life Res, 5, 27–34. [22.] Katon, W., Russo, J., Richardson, L., et al (2008). 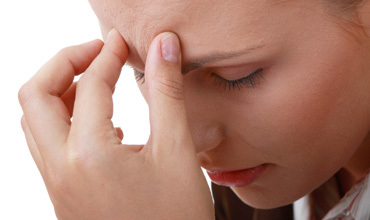 Anxiety and-depression screening for youth in a primary care population. AmbulPediatr, 8, 182–188. [23.] Kaplan, S.H., Greenfi http://bcs.bedfordstmartins.com/resdoc5e/res5e_ch09_s1-0009.htmleld, S., Connoly, G.A., et al (2001). Methodologic issues in the conduct and interpretation of pediatric effectiveness research. Ambulpediatr, 1, 63-70. [24.] Landrigan, P. J., Kimmel, C.A., Correa, A., Eskenazi, B.(2004). Children’s health stand the environment: public health issues and challenges for risk assessment. Environ Health Perspect, 112, 257–265. [25.] Lara, M., Rosenbaum, S., Rachelefsky, G., et al (2002). Improving childhood asthma outcomes in the United States: a blueprint for policy action. Pediatrics, 109, 919–930. [26.] Levine, O.S., Cutts, F.T. (2007). Pneumococcal vaccination and public health. Lancet, 369,1144–1145. [27.] Lord, G. M., Trembath, R. C. (2007). A strategy for translation. Lancet, 369, 1771–1773. [28.] Lost in clinical translation. Nat Med,( 2004), 10, 879 [PubMed]. [29.] Mathers, C. D., Vos, E.T., Stevenson, C. E., Begg, S.J. (2001). The burden of disease and injury in Australia. Bull World Health Organ, 79, 1076–1084. [30.] Mangione-Smith, R., DeCristofaro, A.H., Setodji, C.M., et al (2007). The quality of ambulatory care delivered to children in the United States. N Engl J Med, 357, 1515–1523. [31.] McGlynn, E., A., Asch, S., M., Adams, J, et al (2003). The quality of health care delivered to adults in the United States. N Engl J Med, 348, 2635–2645. [32.] Measuring the health of nations: updating an earlier analysis. The Commonwealth Fund[online]. Retrieved from http://www.commonwealthfund.org/publications_show.htm?doc_id=640980. [33.] Medical research: Saving lives through new cures and treatments. Association of American Medical Colleges Web site. [online], Retrieved from http://www.aamc.org/research/ftp/ftpsavinglives.pdf. Accessed August 28, 2008. [34.] Miller, M.R., Gergen, P., Honour, M., Zhan, C.L. (2005). Burden of illness for children and where we stand in measuring the quality of this healthcare. Ambul Pediatr, 5, 268–278. [35.] Mirror, mirror on the wall: an international update on the comparative performance of American healthcare. The Commonwealth Fund[online]. Retrieved from http://www.commonwealthfund.org/usr_doc/1027_Davis_mirror_mirror_international_update_final.pdf?section¼4039. [36.] Murray, C., Frenk, J. (2001). World Health Report 2000: a step towards evidence-based health policy. Lancet, 357, 1698–1700. [37.] National Institutes of Health (NIH). 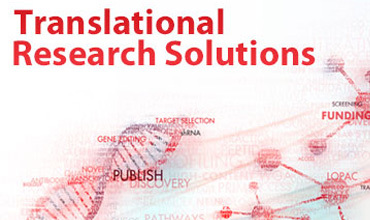 What is Translational Research. Retrieved from http://ccts.uth.tmc.edu/what is-translational-research.com. [38.] National Healthcare Disparities Report, Agency for Healthcare Research and Quality [online] (2006). Retrieved from http://www. ahrq.gov/qual/nhdr06/nhdr06.htm. [39.] National Heart Lung and Blood Institute and National Asthma Education and Prevention Program. Expert Panel Report: Guidelines for the Diagnosis and Management of Asthma. Bethesda, Md: National Institutes of Health; (1991). NIH Publication No. 91, 3042. [40.] National Heart Lung and Blood Institute and National Asthma Education and Prevention Program. Expert Panel Report II: Guidelines for the Diagnosis and Management of Asthma. Bethesda, Md: National Institutes of Health; (1997). NIH Publication No. 97, 4051. [41.] National Heart Lung and Blood Institute and National Asthma Education and Prevention Program. NAEPP Expert Panel Report: Guidelines for the Diagnosis and Management of Asthma-Update on Selected Topics. Bethesda, Md: National Institutes of Health, (2002). NIH Publication No. 02-5075. [42.] National Institutes of Health. Workshop Report, Global Strategy for Asthma Management and Prevention. Bethesda, Md: National Institutes of Health, (1995). NIH Publication No 95, 3659. [43.] National Institutes of Health. Global Initiative for Asthma, Global Strategy for Asthma Management and Prevention. Bethesda, Md: National Institutes of Health, (2002). NIH Publication No. 02, 3659. [44.] Newacheck, P. W., Halfon, N. (2000). Prevalence, impact, and trends in childhood disability due to asthma. Arch Pediatr Adolesc Med,154, 287–293. [45.] Perrin, J.M., Hicks, P.J. (2008). 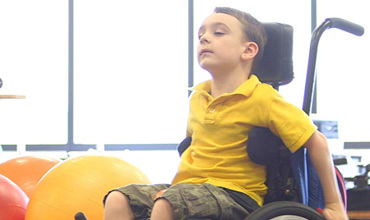 The future of disability in America: review of the Institute of Medicine report. Ambul Pediatr, 8, 71–72. [46.] Poehling, K.A., Szilagyi, P.G., Grijalva, C.G.(2007). Reduction of frequent otitismedia and pressure-equalizing tube insertions in children after introduction of pneumococcal conjugate vaccine [published correction appears in Pediatrics, 119, 1270. [47.] Ramani, R.R., Hall, W.N., Boulton, M., et al (2004). Impact of PCV7 on invasive pneumococcal disease among children younger than 5 years: a population-based study. Am J Public Health. 94, 958–959. [48.] Rodwin, V. G. (2003). The health care system under French National Health Insurance: lessons for health reform in the United States. Am J Public Health, 93, 31–37. [49.] Seid, M., Schultz, D., McClure, J., Stoto, M.A (2007). Evaluation of AHRQ’s Children’s Health Activities. AHRQ Publication No. 08-M013-EF; 2007. [50.] Schroeder, S., A., Shattuck, Lecture (2007).We can do better—Improving the health of the American people. N Engl J Med, 357, 1221–1228. [51.] Szatmari, P. (2003). The causes of autism spectrum disorders—multiple factors have been identified, but a unifying cascade of events is still elusive. Br Med J, 326, 173–174. [52.] Szilagyi, P.G., Schor, E.L. (1998). The health of children. Health Serv Res, 33, 1001–1039. [53.] The Long-Term outlook for health care spending. Congressional Budget Office [online] November (2007). Retrieved from http//www.cbo.gov/doc.cfm?index¼8758. [54.] Wolf, C.R., Smith, G., Smith, R.L. Science, medicine, and the future—pharmacogenetics. Br Med J, 320, 987–990. [55.] Woolf, S., H. (2008). The meaning of translational research and why it matters. Jama, 299, 211–3 [PubMed]. [56.] Zhou, F., Bisgard, K.M., Yusuf, H.R., et al (2002). Impact of universal Haemophilus influenzae type b vaccination starting at 2 months of age in the United States: an economic analysis. Pediatrics, 110, 653–661. [57.] Zuckerbrot, R. A., Jensen, P. S. (2006). Improving recognition of adolescent depression in primary care. Arch Pediatr Adolesc Med, 160, 694–704. An Expert Working to review the status of the use of pain measurement tools (PMTs), Ambulatory blood pressure monitoring (ABPM) and Questionnaires in Clinical Research. The present work recommends that standardized methods should be applied for the use of PMTs in research. Unidimensional pain measurement tools (PMTs) and multidimensional pain measurement tools (PMTs) designed to assess pain, the McGill Pain Questionnaire and Brief Pain Inventory are valid in many multilingual versions. The diagnosis and management of hypertension is based on blood pressure (BP) measurements taken by doctors or nurses with conventional sphygmomanometers. Asking the patient to take their own BP at home has been sporadically reported for many years, but the potential value of patient home measurement has been overshadowed by the development of continuous ambulatory BP monitoring. Ambulatory blood pressure monitoring have been shown to improve the management of hypertension. Twenty practices were asked to monitor hypertensive patients, in particular those about to start drug treatment and those who were poorly controlled. A good questionnaire design for a clinical trial will minimize bias and maximize precision in the estimates of treatment effect within budget. The mode of administration can also impact on the cost, quality and completeness of data collected. There is good evidence for design features that improve data completeness but further research is required to evaluate strategies in clinical trials. Theory-based guidelines for style, appearance, and layout of self-administered questionnaires have been proposed. KEYWORDS: pain measurement tools (PMTs), Ambulatory blood pressure monitoring (ABPM), Questionnaire design, Mode of administration, Guidelines. [1.] Brown, G.E. (1930). Daily and monthly rhythm in the blood pressure of a man with hypertension: a three year study. Ann Intern Med, 9, 1177-1189. [2.] Bullinger, M., Alonso, J., Apolone, G., et al. (1998). Translating health status questionnaires and evaluating their quality: the IQOLA Project approach. International quality of life assessment. J Clin Epiderm, 51, 913–923. [3.] Burns–Cox, C. J., Russell, Rees, J., Wilson, R.S.E. (1975). Pilot study of home measurement of blood pressure by hypertensive patients. [4.] Clark, C.W., Ferrer-Brechner, T., Janal, M.N., et al (1989). The dimensions of pain: a multidimensional scaling comparison of cancer patients and healthy volunteers. Pain 37, 23–32. [6.] Cleeland, C. S. (1989). Measurement of pain by subjective report In: Chapman CR, Loeser JD, eds. Advances in pain research and management, vol 12. Issues in pain management. New York: Raven Press, pp 391–403. [7.] Daut, R. L., Cleeland, C.S. (1982) the prevalence and severity of pain in cancer. 50, 1913–1918. [8.] De, Wit, R., Huijer, Abu-Saad, H., Loonstra, S., et al. (1999). Empirical comparison of commonly used measures to evaluate pain treatment in cancer patients with chronic pain. J Clin Oncol, 17, 1280–1287. [9.] Deschamps, M., Band, P.R., Coldman, A. J. (1988). Assessment of adult cancer pain shortcoming of current methods. Pain, 32, 133–139. [10.] Design and use of questionnaires: a review of best practice applicable to surveys of health service sta_ and patients", Health Technology Assessmen,. (2001), Vol 5, No 31. [11.] Feine, J.S, Lavigne, G.J, Thuan, Dao, T. T, et al. (1998). Memories of chronic pain and perception of relief. Pain, 77, 137–141. [12.] Fishman, B., Pasternak, S., Wallenstein, S. L, et al. (1987) The Memorial Pain Assessment Card: a valid instrument for the evaluation of cancer pain. Cancer, 60, 1151–1158. [13.] Galer, B. S., Jensen, M., P. (1997). Development and preliminary validation of a pain measure specific to neuropathic pain. Neurology, 48, 332–338. [14.] Gracely, R. H., McGrath, P. A, Dubner, R. (1978). A ratio scales of sensory and affective verbal pain descriptors. Pain, 5, 5–18. [15.] Gracely, R. H., McGrath, P. A., Dubner, R. (1978). Validity and sensitivity of ratio scale of sensory and affective verbal pain descriptors: manipulation of affect by diazepam. Pain, 5, 19–29. [16.] Haynes, Sackett, D. L., Gibson, E. S., et al. (1976).Improvement in medication compliance in uncontrolled hypertension. Lancet, 119, 1034-1039. [17.] Houde, R. W., Wallenstein, S. L., Beaver, W. T. (1965). Clinical measurement of pain. In: de Stevens G, ed. Analgesics. New York: Academic Press, 75–122. [18.] Houde, R. W., Wallenstein, S. L., Beaver, W. T. (1966). Evaluation of analgesics in patients with cancer pain. In: Lasagna L, ed. International encyclopedia of pharmacology and therapeutics, vol 1. New York: Pergamon Press, 59–67. [19.] Jensen, M. P., Karoly, P., Braver, S. (1986). The measurement of clinical pain intensity: a comparison of six methods. Pain, 27, 117–126. [20.] Jensen, M. P., Karoly, K. (1993) Measurement of cancer pain by self report. In: Chapman CR, Foley KM, eds. Current and emerging issues in cancer pain: research and practice. New York: Raven Press, 193–218. [21.] Jensen, M. P., McFarland, C. A. (1993). Increasing the reliability and validity of pain intensity measurement in chronic pain patients. Pain, 55, 195–203. [22.] Jensen, M. P., Turner, J. A., Romano, J. M. (1994). What is the maximum number of level needed in pain intensity measurement? Pain, 58, 387–392. [23.] Julius, S. (1991). Home blood pressure monitoring: advantages and limitations. J Hypertens, 9(3), S41-46. [24.] Kerns, R.D., Turk, D.C., Rudy, T.E. (1985). The West Haven Yale multidimensional pain inventory (WHYMPI). Pain, 23, 345–356. [25.] Kleinert, H. D., Harsh, G. A., Pickering, T. G., et al (1984). What is the value of home blood pressure measurement in patients with mild hypertension? Hypertension, 6,574-578. [26.] Kremer, E. F., Atkinson, J. H., Ignelzi, R. J. (1981). Measurement of pain: A patient preference does not confound pain measurement. Pain, 12, 153–163. [27.] 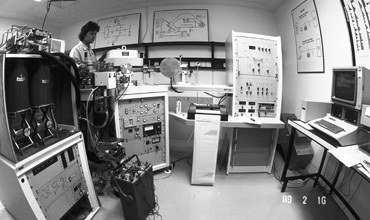 Littman, G. S., Walker, B. R., Schneider, B. E. (1985). Reassessment of verbal and visual analog ratings in analgesic studies. Clin Pharmacol Ther, 38, 16–23. [28.] Mancia, G., Sega, R., Bravi, C., et al (1995). Ambulatory blood pressure normality: results from the PAMELA study. J Hypertens, 13, 1377-1390. [29.] McQuay, H., Moore, A. (1998). An evidence-based resource for pain relief. Oxford: Oxford University Press, 9(6), 41-49. [30.] O’Brien, E., O’Malley, K. (1988). Over diagnosing hypertension, 297, 1211. [31.] O’Brien, E. T., Beevers, D. G., Marshall, H. J. (1995). ABC of Hypertension [Third edition.] London: BMJ Publishing Group. [32.] O’Brien, E., Mee, F., Atkins, N., Thomas, M. (1996). 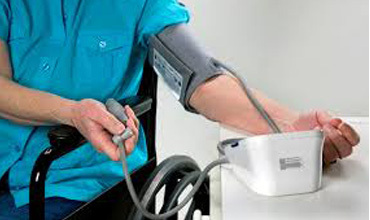 Evaluation of three devices for self measurement of blood pressure according to the revised British Hypertension Society Protocol: The Omron HEM-705 CP,Philips HP5332 and Nissei DS-175. Blood Pressure Monitoring, 55-61. [33.] Pickering, T. G. (1987). Ambulatory blood pressure monitoring as a predictor of cardiovascular risk. Am Heart J, 114, 925-928. [34.] Pickering, T. G. (1993). Blood pressure variability and ambulatory monitoring. Curr Opin Nephron Hypertens, 2, 380-385. [35.] Price, D. D, McGrath, P. A., Rafi, A., Buckingham, B. (1983). The validation of visual analogue scales as ratio scale measures for chronic and experimental pain. Pain, 17, 45–56. [36.] Price, D. D., Bush, F. M., Long, S., Harkins, S. W. (1994) A comparison of pain measurement characteristics of mechanical visual analogue and simple numerical rating scales. Pain, 56, 217–226. [38.] Rinck, G. C., van den, Bos, A.M., Kleijnen, J., et al. (1997). Methodologic issues in effectiveness research on palliative cancer care: a systematic review. J Clin Oncol, 15, 1697–1707. [39.] Sauders, C., Doyle, D., Hanks, G. W. C., and eds. (1998). Oxford textbook of palliative medicine, 2nd ed. Oxford: Oxford University Press. V–IX. [40.] Scott, J., Huskinsson, E. C. (1976). Graphic representation of pain. Pain, 2, 175–184. [41.] Sever, P., Beevers, G., Bulpitt, C., et al. (1993). Management guidelines in essential hypertension. Report of the second working party of the British Hypertension Society, 306, 983-987. [42.] Seymour, R. A., Simpson, J. M., Charlton, J. E., Philips, M. E. (1985). An evaluation of the length and end-phrase of visual analogue scales in dental pain. Pain, 21, 177–185. [43.] Soghikian, K., Casper, S. M., Fireman, B. H., et al. (1992). Home blood pressure monitoring. Effect on use of medical services and medical care costs. Med Care, 30, 855-865. [44.] The Sixth Report of the Joint National Committee on Prevention, Detection, Evaluation, and Treatment of High Blood Pressure. (JNCVI.) Arch Intern Med 1997. 157, 2413-2446. [45.] Wallenstein, S. L. (1975). Analgesic studies of aspirin in cancer patients. Proceedings of the Aspirin Symposium. London: Aspirin Foundation, 5–10. [46.] Wallenstein, S. L., Houde, R. W. (1975). The clinical evaluation of analgesic effectiveness. In: Ehrenpreis S, Heidle A, eds. Methods of narcotic research. New York: Marcel Dekker, 127–145. [47.] Wallenstein, S. L., Heidrich, G. I., Kaiko, R., Houde, R. W. (1980). Clinical evaluation of mild analgesics: the measurement of clinical pain. Br J Clin Pharmacol, 10, 319S–327S. [48.] Wallenstein, S. L. (1991). Commentary: the VAS relief scale and other analgesic measures: carryover effect in parallel and crossover studies. In: Max MB, Portenoy RK, and Laska EM, Eds. The design of analgesic clinical trials, vol 18. New York: Raven Press, 97–104. [49.] Winer, R. T., Clark, W. C., Keohan, M. L., et al. (1999). Validation of the multidimensional affect and pain questionnaire (MAPS) in cancer patients. 9th World Congress on pain. Vienna: IASP Press, 214. Immunosuppressive drugs are used to prevent transplant rejections in organ-transplanted patients but there has to be effective therapeutic drug monitoring because an inadequate or incorrect dosage could lead to intoxication or transplant rejection. There have been many designed protocols for the quantification of these drugs and most of them involve the use of high performance liquid chromatography but Armin et al in their research work chose to design a protocol following the mass spectrometry method which is an upcoming method due to its specificity and sensitivity which was observed to be notably higher. Five immunosuppressive drugs which included Cyclosporine A, Tacrolimus, Sirolimus, Everolimus and Mycophenolic acid were evaluated in whole blood and plasma using deuterated internal standards. [1.] Athol J., David W.H. (1999). Therapeutic drug monitoring of immunosuppressant drugs. Br J ClinPharmacol April, 47(4): 339-350. [2.] Siuzdak G. (1994). The emergence of mass spectrometry in biochemical research. ProcNatlAcadSci U.S.A. 22, 91(24): 11290-7. [3.] Skoog D.A. (1998). Principles of instrumental analysis: introduction, pp.18. Harcourt Brace. [4.] Weiling J. (2002). LC-MS-MS experiences with internal standards. Chromatographia volume 55 issue 1 supplement, pp S107-S113. This review critically analyzes the article ‘The Prevention and Treatment of Missing Data in Clinical Trials in the New England Journal of Medicine (NEJM). The review will summarize the article by providing the purpose for the article, how research was conducted, the results and other pertinent information from the article. The review will also critique the article analyze the article’s accessibility and credibility based on its relevance to the subject matter. It will highlight some relevant progress in the topic under study that might have occurred since the article was published. The article was well written, clear and relevant to the challenges facing the clinical research industry. Missing data points threaten the validity of many clinical trials. At the request of the Food and Drug Administration (FDA) and with its funding, the panel on the handling of missing data in clinical trials was created by the National Research Council's (NRC) Committee on National Statistics. This panel published a report with recommendations that was intended to be used by the FDA for guidance on handling missing data for the entire clinical trial community so that the latter can take measures to improve the conduct and analysis of clinical trials. The current article provides an overview of the findings and recommendations of the resultant report from the perspective of one member of the NRC panel. Overall the paper succinctly summarizes issues related to missing data and the current state of challenges pertaining to the topic. It creates an understanding of the topic for the reader by discussing some of the main recommendations from the NRC panel’s report on this topic. [5.] Liu, G., Gould, A. L. (2002). Comparison of alternative strategies for analysis of longitudinal trials with dropouts. J Biopharm Stat, 12(2):207–226. [PubMed]. [6.] NAS. The Prevention and Treatment of Missing Data in Clinical Trials. The National Academies Press; 2010. [7.] O’Neill, R. T., Temple, R (2012). The prevention and treatment of missing data in clinical trials: an FDA perspective on the importance of dealing with it. ClinPharmacolTher, 91(3), 550–554. [PubMed]. [8.] Silvia, P. J., Kwapil, T. R., Eddington, K. M., & Brown, L. H. (2013). Missed beeps and missing data: Dispositional and situational predictors of non-response in experience sampling research. Social Science Computer Review. Doi:10.1177/0894439313479902. [9.] Scharfstein, D. O., Hogan, J., Herman, A. (2012). On the prevention and analysis of missing data in randomized clinical trials: the state of the art. J Bone Joint Surg Am, 94(Suppl 1),80–84. [PMC free article][PubMed]. [10.] Scharfstein, S., Neaton, J., Hogan, J., Little, R., Daniels, M., Roy, J. (2012). Minimal Standards in the Prevention and Handling of Missing Data in Observational and Experimental Patient Centered Outcomes Research [Internet]. Retrieved from: http://www.pcori.org/assets/Minimal-Standards-in-the-Prevention-and-Handling-of-Missing-Data-in-Observational-and-Experimental-Patient-Centered-Outcomes-Research.pdf . [11.] Trials PoHMDiC. The Prevention and Treatment of Missing Data in Clinical Trials. National Academy Press; 2010. Translational research is basic research that uses in betterment of the patient health. It includes laboratory based research and research in human subjects, populations and communities. In past decades researcher and theirs researches have clearly focused on importance of the basic research in clinical improvement, human health, etc. Implementation of translational research as a key component of drug development and clinical research is complex and involves patients in various ways. Thereby it imposes some new ethical, legal, logistical and management constrains. Moreover translational research may require highly sophisticated machines, specific imaging techniques, biochemistry laboratories and imposes other infrastructural prerequisites, some of which should be in the direct vicinity of the clinical trial site. The usefulness of data generated during monitoring of such clinical trials with biologic/mechanistic endpoints is highly dependent on the quality of the assays and the availability of sufficient numbers of samples to conduct valid analyses. 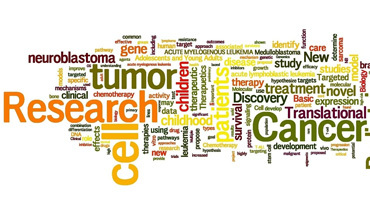 KEYWORDS: Translational Research, Clinical trial, Basic research, cancer, Cancer treatment. [1.] Baumann, M., Bentzen, S. M., Doerr, W., Joiner, M. C., Saunders, M., Tannock, (2001). If The Translational Research Chain: Is it delivering the Goods?. Int J Radiation Oncology Biol Phys, 49 suppl 2, 345-351. [2.] Cheung, K., Ruttenberg, A., Clark, T., Bug, W., Samwald, M., Bodenreider O, et al (2007). Advancing translational research with the Sematic Web. BMC Bioinformatics , 8 suppl 3, S2. [3.] Darja Pavlin, Maja Cemazar, Gregor Sersa and Natasa Tozon (2012) IL-12 based gene therapy in veterinary medicine. Journal of Translational Medicine, 10,234. [4.] Davidoff, F., Batalden, P. ( 2005). Toward stronger evidence on quality improvement: draft publication guidelines: the beginning of a consensus project. Qual Saf Health Care, 14(5):319-325. [5.] Domenico Ribatti (2008). Judah Folkman, a pioneer in the study of angiogenesis- Angiogenesis. 2008 March, 11(1), 3–10. Published online 2008 February 5. Doi: 10.1007/s10456-008-9092-6. [6.] Elina, A., Kiss (2011). Natural Aryl Hydrocarbon Receptor Ligands Control Organogenesis of Intestinal Lymphoid Follicles, American Association for the Advancement of ScienceCenter for Organogenesis; Science. DOI: 10.1126/science.1214914. [7.] Engaging basic scientists in translational research: identifying opportunities, overcoming obstacle. Doi:10.1186/1479-5876-10-72. [8.] Family Practice Oncology Network Journal Issue Number 21, fall 2013, BC Cancer Agency, taken from www.fpon.ca. [9.] Folkman, J., Hochberg, M. (1983). Self-regulation of growth in three dimensions. J Exp Med 138, 745–753. [10.] Fontanarosa, P. B, DeAngelis, C. D.- JAMA. (2002). Basic science and translational research, 287(13),1728. [11.] Gaudette, L. A., Lee, J. (1997). Cancer incidence in Canada, 1969-1993. Ottawa: Health Statistics Division, Statistics Canada. Catalogue 82-566-XPB. Occasional. [12.] Geevarghese, S. K., Geller, D. A., de Haan, H. A., Hörer, M., Knoll, A.E., Mescheder A, Nemunaitis, J., Reid, T.R., Sze, D.Y., Tanabe, K.K., Tawfik, H.(2010). Phase I/II study of oncolytic herpes simplex virus NV1020 in patients with extensively pretreated refractory colorectal cancer metastatic to the liver, 21(9),1119-28. Doi: 10.1089/hum.2010.020. [13.] Girish Sardana (2008). PROTEOMIC ANALYSIS OF PROSTATE CANCER CELL LINE CONDITIONED MEDIA FOR THE DISCOVERY OF CANDIDATE BIOMARKERS FOR PROSTATE CANCER, University of Toronto. [14.] Grasso, C. S., Wu, Y.M., Robinson, D.R., Cao, X., Dhanasekaran, S.M., Khan, A.P., Quist, M.J., Jing X., Lonigro, R.J., Brenner, J.C., Asangani, I.A., Ateeq, B., Chun, S. Y., Siddiqui, J., Sam, L., Anstett M., Mehra, R., Prensner, J.R., Palanisamy, N., Ryslik, G.A., Vandin, F., Raphael, B.J., Kunju, L.P., Rhodes, D.R., Pienta, K.J., Chinnaiyan, A.M., Tomlins, S.A. (2012 Jul 12). University of Michigan North Campus Research - The mutational landscape of lethal castration-resistant prostate cancer, 487(7406), 239-43. Doi: 10.1038/nature11125. [15.] Jennifer, A., Hobin, Anne, M., Deschamps, Richard, Bockman, (2012). Engaging basic scientists in translational research: identifying opportunities, overcoming obstacles. Journal of Translational Medicine, 0:72. Doi:10.1186/1479-5876-10-72. [16.] Kerner, J.F., Guirguis-Blake, J., Hennessy, K. D., et al. (2005). Translating research into improved outcomes in comprehensive cancer control. Cancer Causes Control, 16(suppl 1), 27-40. [17.] Kerner, J.F., J., Contin, Educ, (2006). Knowledge translation versus knowledge integration: a “funder’s” perspective. 26(1):72-80. [18.] Linder, S., Shoshan, M. C. ( 2006). Is translational research compatible with preclinical publication strategies? Radiation Oncology; 1:4. [19.] Matthew, Bogyo, Pauline, M., Rudd, (2013). New Technologies and their impact on ‘omics’ research. Current Opinion in Chemical Biology 2013, 17:1 – 3. [20.] McGlynn, E.A., Asch, S. M., Adams, J., et al. The quality of health care delivered to adults in the United States. [21.] Michael Retsky, Romano Demicheli, William, J.M., Hrushesky, Patrice, Forget, Marc De, Kock, Isaac, Gukas, Rick, A., Rogers, Michael, Baum, Katharine, Pachmann, Jayant, S. Vaidya, (2012).Promising development from translational or perhaps anti-translational research in breast cancer. Clinical and Translational Medicine 2012, 1:17. [22.] Mitesh, Phale,(2009) . Transalational Research: Looking into the crystal. 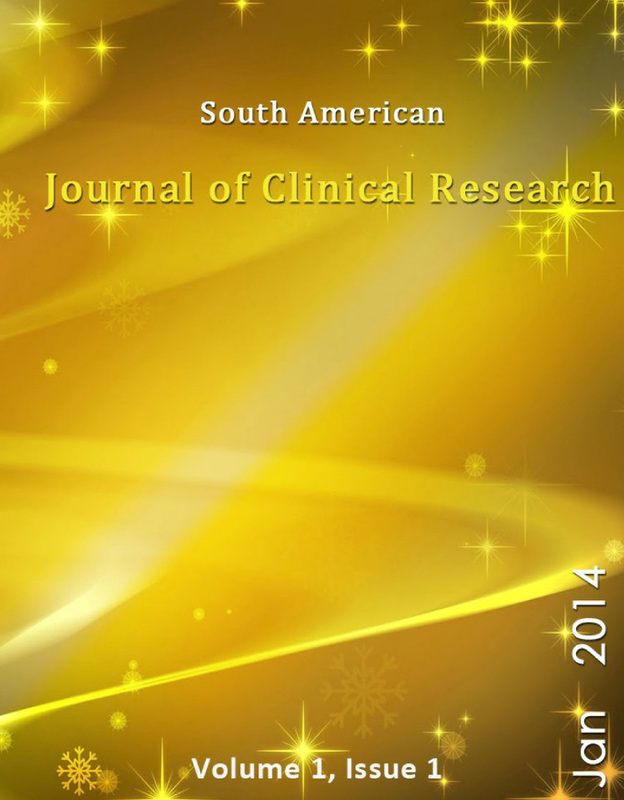 Asian Journal of Pharmaceutical and Clinical Research, Vol.2 Issue 4. [23.] Mold, J.W., Peterson, K. A., Ann, Fam, Med, 2005. Primary care practice-based research networks: working at the interface between research and quality improvement, 3(suppl 1):S12-S20. [24.] Robert Hardie,(2002). Translational Prostate Cancer Research Group , London Health Sciences Centre (LHSC). [25.] National Institutes of Health , Breast Cancer - MedlinePlus Health Information. [26.] National Institutes of Health, (2007). Institutional Clinical and Translational Science Award (U54). [27.] NIH (2004). NIH Roadmap: Reengineering the Clinical Research Enterprise Regional Translational Research Centers Interim Report. [29.] Roger Kornberg (2001). The eukaryotic gene transcription machinery BIOLOGICAL CHEMISTRY Kornberg. R. D. 382 (8), 1103-1107. [30.] Science Citation Index Expanded; Journal Citation Reports/Science Edition; Biological Abstracts; BIOSIS Preview, Scopus, Google Scholar. [31.] Scott, L., Friedman, Dean, Sheppard, Jeremy, S., Duffield and Shelia Violette, (2013). Therapy for Fibrotic Diseases: Nearing the Starting Line , Sci Transl Med 9 January 2013: 167sr1. [DOI:10.1126/scitranslmed.3004700]. [32.] Stanford Medicine – (2012) Clinical Trials & Translational Research - Online tool helps those with BRCA mutations understand options - http://med.stanford.edu/ism/2012/april/brca-tool-0409.html#sthash.erKXavK6.dpuf). [33.] Steven, H., Woolf, M. D., M.P.H. (2008). The Meaning of Translational Research and Why It Matters, National Institutes of Health. JAMA; January 9/16,—Vol 299, No. 2. [34.] Sung, N. S, Crowley, W.F., Jr, Genel M. (2003). Central challenges facing the national clinical research enterprise. et al. New English Jouranal Med, JAMA, 348(26),2635-2645. [35.] Translational Prostate Cancer Research Group; Prostate Cancer Clinical Trials, University of Western Ontario Division of Urology. 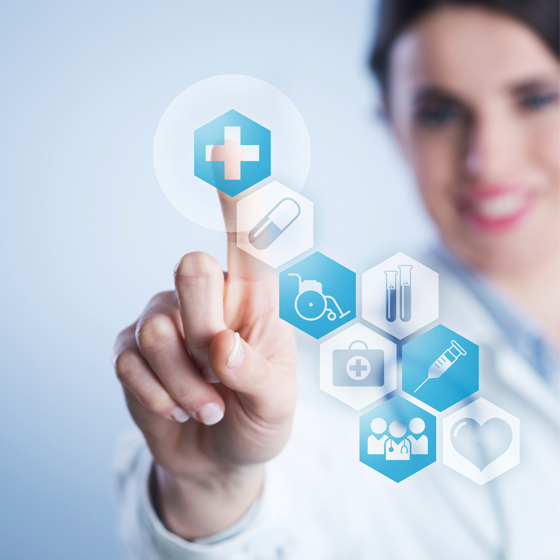 Clinical Research is a branch of medical science that experiments new drug, medical device or biological on human subjects prior to approval. For the study to be credible, unbiased and generally applicable, all ICH-GCP regulations, other international and local regulations governing ethical clinical research studies should strictly be adhered to. 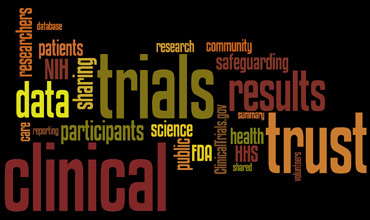 The current regulations for clinical research are based on a combination of ethical thoughts and history. Ethics is different from law and regulation, both of which mandate a certain way of acting. The United States regulations for the protection of human subjects and other regulatory agencies from different countries have provided minimum baseline with which everyone must comply in operating an institutional review board (IRB), obtaining informed consent from research subjects and conducting research in an ethical manner. The challenge, especially in a practical environment such as clinical research, is to translate these regulatory documents, provisions and different ethical principles into action. 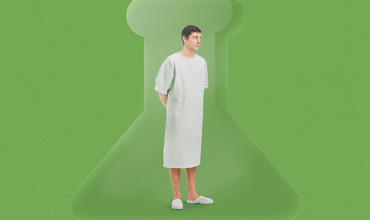 In clinical research, the consent of the research participants should be received before they are enrolled for trial. Many years after the document governing ethical principles of clinical research was developed and addressing three major areas: respect for persons, beneficence and justice, abuse of informed consent process has been a major ethical problem in most clinical research conducted across the globe and especially those conducted in Africa. Is informed consent process well administered? Do these patients have a good comprehension of the entire research process? Is informed consent a mere signing of a paper to participate in a trial, or a continuous process?. Is there a better way of administering informed consent to achieve a better research outcome that will benefit all? This review shall focus on recalling history of abuses of informed consent process and ways to correct the unethical practice shall be discussed. [1.] Alexander Gaffney, (2013). Revised Declaration of Helsinki Published for Comment, Earning Scathing Reviews.Regulatory Focus News, October, 2013. Retrieved from www.raps.org/focus. [2.] David Perlman, (2004). Ethics in Clinical Research A History of Human Subject Protections and Practical Implementation of Ethical Standards. Society of Clinical Research Journal, May, Pp 37-41. [3.] Indrajit Basuaddd, (2004). India's clinical trials and tribulations. South Asia in Asia Times, July, 23. [5.] Mitscherlich, A.., Mielke, F. (1992). Epilogue: Sever Were Hanged. In: The Nazi Doctors and The Nuremberg Code - Human Rights in Human Experimentation. Edited by Annas GJ, Rodin MA. New York: Oxford University Press; pp: 105-107. [6.] Nancy, E. K. et al (2007): The structure and function of Research Ethics Committees in Africa: A Case Study. Retrieved from www.plosmedicine.org. [7.] Onyeaghala, A..A.,(2008). Pharmaceutical companies, clinical trial in Africa and Good Clinical Practice. Retrieved from www.ibpassociation.org/IBPA_articles/april2008. [8.] Rothman, D.J. (1991). Strangers At The Bedside: A History of How Law And Bioethics Transformed Medical Decision Making. : Basic Books; New York ,USA, ISBN : 0-465-08210-6 . [9.] Robert, V., Carlson, Kenneth, M., Boyd and David Webb (2004). The revision of the Declaration of Helsinki: past, present and the future. British Journal of Clinical Pharmacology, 57:6 PP 695-713. [10.] Shuster, E. (1997) Fifty Years later: The Significance Of The Nuremberg Code. N Engl J Med , 337, 1436-1440. [11.] Steinbrook,(2003). Trial design and patient safety-the debate continues. New England Journal of Medicine. 349:629-630. [12.] Stolberg, S. G. (1999): The biotech death of Jesse Gelsinger. New York Times Magazine, Novenmber,28. Stroke is the second leading cause of cardiovascular morbidity and mortality worldwide with long term disability in developed countries. Various risk factors lead to progression of stroke, they include hypertension, atrial fibrillation, new onset of diabetes, isolated systolic hypertension(ISH) & left ventricular hypertrophy. Among these risk factors, Hypertension is considered as major risk factor for myocardial infarction previously but now-a-days it is consider as the greatest risk factor for the stroke. Various antihypertensive agents which either as mono therapy or in combinations are use to reduce above cardiovascular (CV) morbidities and mortalities including different stroke outcomes. Recently losartan, AT-2(angiotensin-2) receptor antagonist which is acting on renin angiotensin system (RAS) is considered as first line agent to reduce different CV morbidities and mortalities compared to other conventional B-blockers and Thiazide diuretic combinations. Various “LIFE (losartan intervention for end point reduction) studies” were conducted in hypertensive patients which show better efficacy profile of losartan in reducing various CV morbidities and mortalities including stroke compared to atenolol. [1.] Bang, C. N., Gerdts, E., Aurigemma, G. P., Boman, K., Dahlöf, B., Roman, M. J., Køber L., Wachtell, K., Devereux, R. B. (2013). Systolic left ventricular function according to left ventricular concentricity and dilatation in hypertensive patients: the Losartan Intervention For Endpoint reduction in hypertension study. J Hypertens, 31(10), 2060-8. [2.] Fossum, E., Moan, A., Kjeldsen, S. E., Devereux, R. B., Julius, S., Snapinn, S. M., Edelman, J. M., Faire, U., Fyhrquist, F., Ibsen, H., Kristianson, K., Lederballe-Pedersen ,O., Lindholm, L. H., Nieminen, M. S., Omvik, P., Oparil, S., Wedel, H., Dahlöf, B. (2005). The Effect of Losartan Versus Atenolol on Cardiovascular Morbidity and Mortality in Patients With Hypertension Taking Aspirin The Losartan Intervention for Endpoint Reduction in Hypertension (LIFE)Study. J Am Coll Cardiol;46:770 –775. [3.] Goldberg, A. I., Dunlay, M. C., and Sweet, C. S. (1995). Safety and Tolerability of Losartan Potassium, an Angiotensin II Receptor Antagonist, Compared With Htdrochlorothirrzide, Atenolol, Felodiprne ER. And Angiotensin-Converting Enzyme Inhibitors for the Treatment of Systemic Hypertension. Am J Cardiol, 75,793-795. [4.] Greve, A. M., Olsen, M. H., Bella, J. N., Lønnebakken M. T., Gerdts, E., Okin P. M., Palmieri V., Boman K., Nieminen M. S., Omvik P., Dahlöf, B., Devereux, R. B., Wachtell, K. (2012). Contrasting hemodynamic mechanisms of losartan- vs. atenolol-based antihypertensive treatment: a LIFE study. Am J Hypertens, 25(9), 1017-23. [5.] Kizer, J. R., Dahlof, B., Kjeldsen, S. E., Julius, S., Beevers, G., Faire, U., Fyhrquist, F., Ibsen, H., Kristianson, K., Lindholm, H. M., Nieminen, M. S., Omvik, P., Oparil, S., Wedel, H., Wachtell, K., Edelman, J. M., Snapinn, S. M., Harris, K. E., Devereux, R. B.,(2005). Stroke Reduction in Hypertensive Adults With Cardiac Hypertrophy Randomized to Losartan Versus Atenolol The Losartan Intervention For Endpoint Reduction in Hypertension Study. J. Am. Heart Assoc. Hypertension, 45, 46-52. [6.] Ruwald A. C., Westergaard, B., Sehestedt, T., Kjeldsen, S. E., Lindholm, L. H., Wachtell, K., Devereux, R. B., Ibsen, H., Nieminen, M. S., Dahlöf, B., Olsen, M. H. (2012). Losartan versus atenolol-based antihypertensive treatment reduces cardiovascular events especially well in elderly patients: the Losartan Intervention For Endpoint reduction in hypertension (LIFE) study. J Hypertens, 30(6), 1252-9. [7.] Wachtell, K., Lehto, M., Gerdts, E., Olsen, M. H., Hornestam, B., Dahlöf, B., Ibsen, H., Julius, S., Kjeldsen, S. E., Lindholm, L. H., Nieminen, M. S., Devereux, R. B.(2005). Angiotensin II receptor blockade reduces new-onset atrial fibrillation and subsequent stroke compared to atenolol: The Losartan Intervention For End point reduction in hypertension (LIFE) study. J. Am. Coll. Cardiol, 45, 712-719.